Parent University will be hosting a workshop for both parents and kids! There will be a dinner provided. 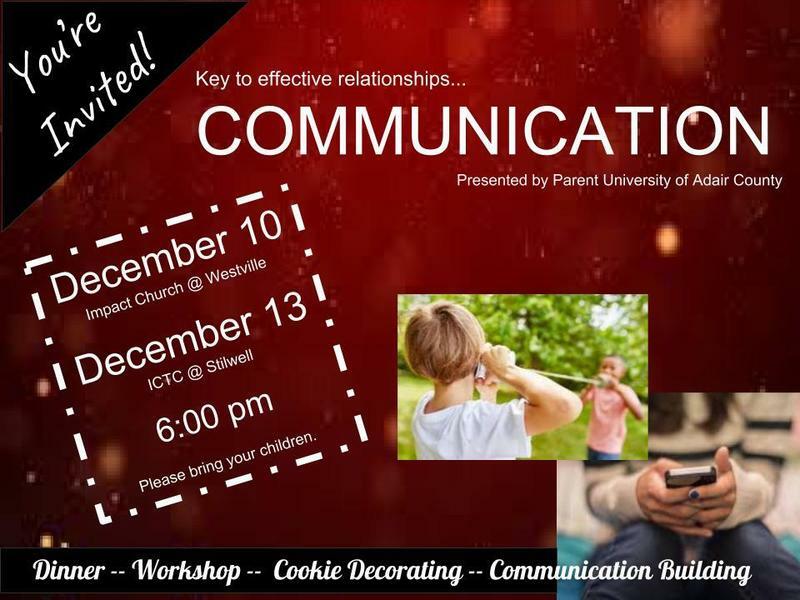 After, you will be able to build your communications skills while decorating CHRISTMAS COOKIES with your children. Please join in the fun and get into the holiday spirit! Copyright © Maryetta Public Schools 2017. All rights reserved.